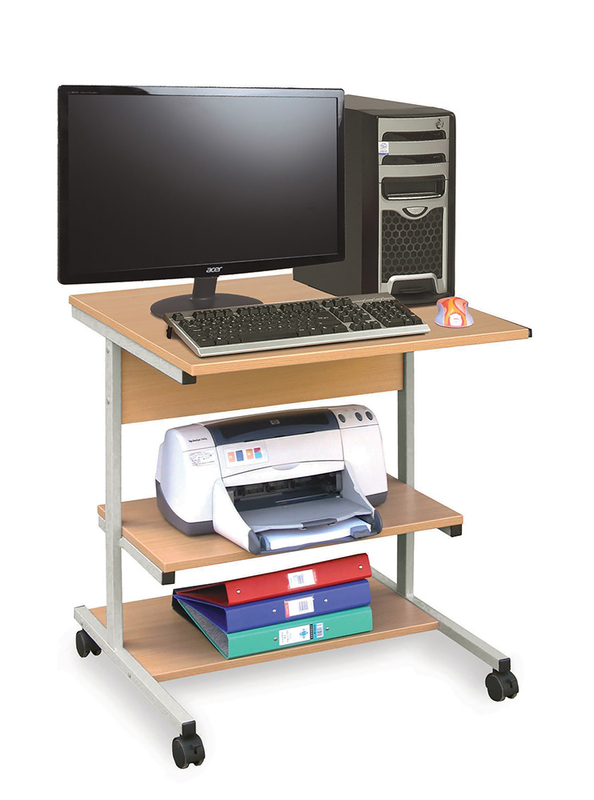 The small mobile computer workstation has been designed for use in schools with the ability to provide a fully functional working area for children. The beech top is constructed from 18mm MFC and comes with easy glide castor wheels for easy mobility when required. The top shelf is capable of holding a full computer system including a monitor, tower and keyboard. The fixed middle shelf can store a printer if required and a fixed bottom shelf provides additional storage for school books and folders.